We are a leading Wholesale Trader of cotton canvas for tent industry from Kanpur, India. 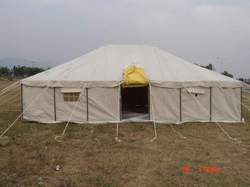 We are engaged in manufacturing and expotting a wide range of Cotton Canvas for Tent Industry. The offered range is available in different thickness, width and varied patterns as per the variegated needs of our clients. Our qualitative Cotton Canvas are offered at market industry leading prices.